Nestled in a quiet area walking distance to both town and lake, Henry's Cottage is a self-contained two-story house filled with warmth and charm. 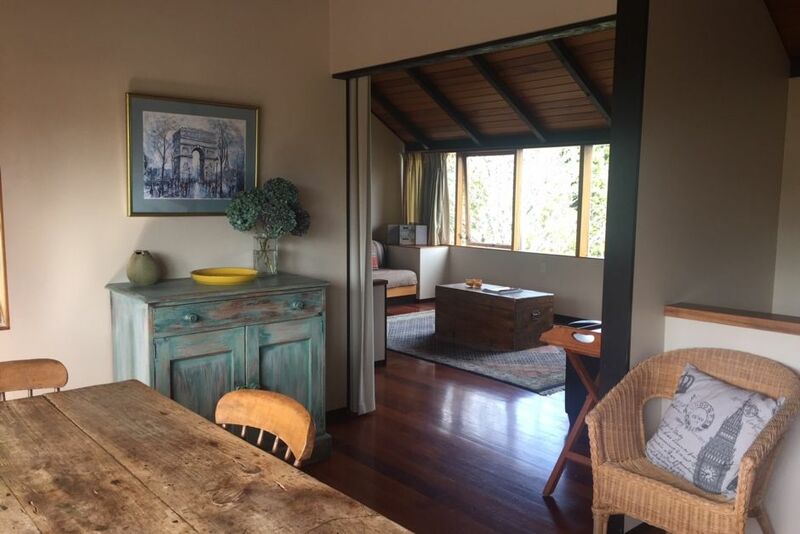 Originally built in the 1940's, Henry's Cottage has been renovated to bring you the comforts of today with the tradition of days gone by, with solid polished timber floors and timber ceilings. Enjoy a BBQ and have peace of mind with off street parking. Central heating keeps the whole property warm in Winter. Quality bed linen and towels provided. No smoking inside. Pets allowed with prior approval. Nice comfortable cottage with a view of the lake. Fantastic location, great set up, toasty warm - we loved our stay & would definitely love to come back. Great location and great hosts. Great location and great hosts. Place was warm upon arrival as Pete and Kerry had turned on the heaters and supplied us with eggs bread and cereal for breakfasts. We would certainly stay there again.